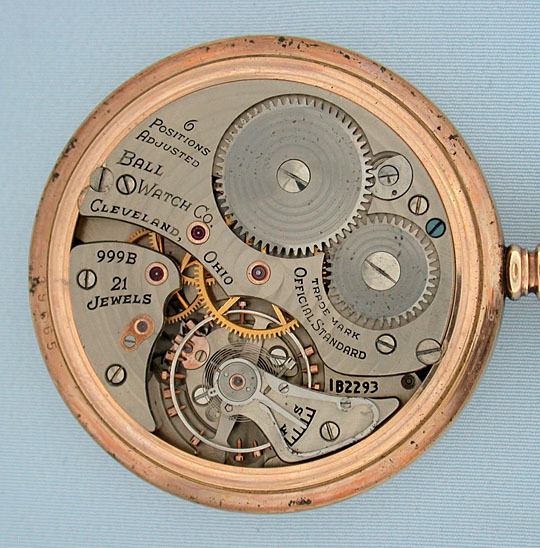 Fine Hamilton Ball 21 jewel 992B railroad watch circa 1940. 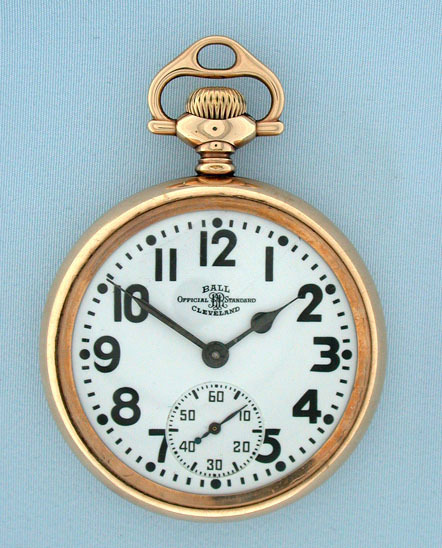 White enamel dial (clean hairline) with exceptionally bold numerals and blued steel hands. 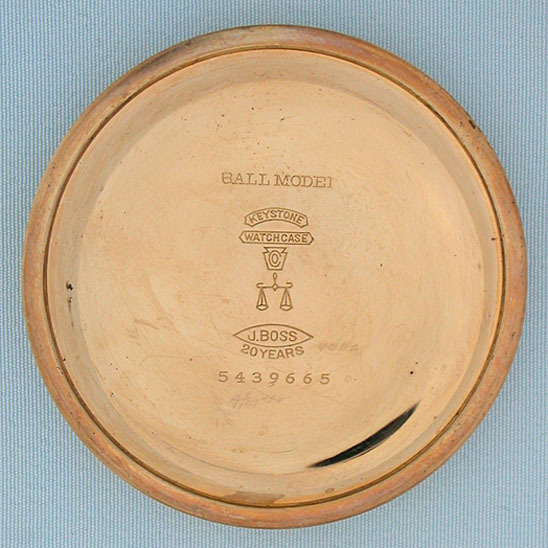 Plain polish gold filled case marked "Ball Model." 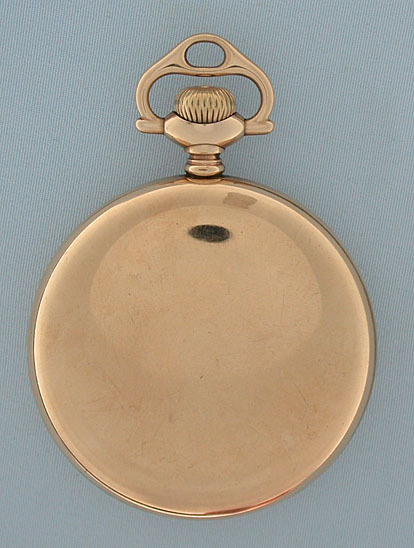 Handsome damascened nickel 21 jewel movement with gold escutcheons, gold jewel settings, and precision regulator.